This assessment is considered a sub-section of our 360 View Lite Contact Center Assessment– it is a focused evaluation of your Customer Experience strategy in your current contact center environment. In this assessment, we explore and document the customer journey to gain an understanding of the current landscape in which your customers travel. This assessment will uncover invaluable data such as challenges your customers face, feedback on specific company initiatives, and other customer data that allows you to customize their experience in a way that improves retention and drives loyalty. 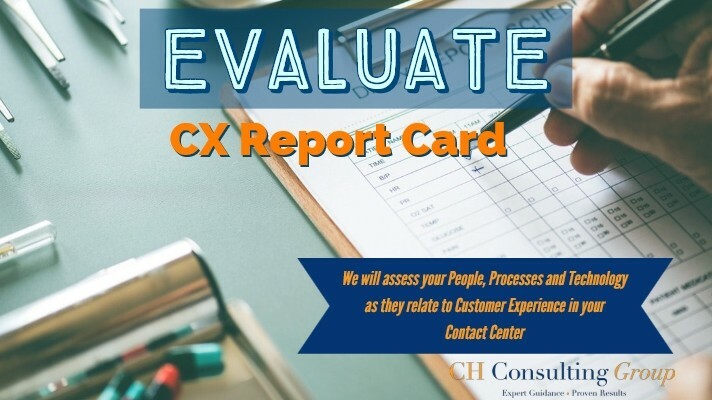 Similar to our other assessments, we evaluate people, processes, and technology as they relate to the Customer Experience in your contact center. This includes taking a closer look at the different channels on which you provide service (phone, email, chat, etc). If you’re interested in having the CHCG team evaluate your Customer Experience strategy, please fill out the form today and we will get in contact with you shortly!